The Iran nuclear deal agreed in Vienna on July 14, 2015, known as the Joint Comprehensive Plan of Action (JCPOA), will be the focus of furious debate for the remainder of President Barack Obama's term in office and beyond. The White House and other proponents will argue its merits and proclaim it to be a "good deal" in the best interests of the United States and our allies and friends. They will also warn that the only alternative to the Vienna deal is war. Opponents will claim that if the deal goes into effect as it is currently structured, it will prove to be a catastrophic mistake and will make the Middle East and the world at large a far more dangerous place. They will argue that the alternative to this deal is a better deal. Perhaps the underlying reason for this glaring disparity can be found in a phrase that often afflicts strategic thinkers and political decision-makers: We don't believe the world we see; we see the world we believe. As the great liberal philosopher Karl Popper argued, the always-difficult search for truth is guided in part by "the gradual discovery of our prejudices. The Obama Administration has avoided such a voyage of discovery, signing a nuclear deal based on a belief system and a series of assumptions that, in the President's own words, provide "a historic chance to pursue a safer and more secure world." Hence, the fundamental question is this: "Does the President's conclusion match up to the world as it is, or is the conclusion based on series of profoundly false assumptions?" Assumptions always play a huge part in the way decisions are made. Failure to address, understand, and then heed the truth or fallacy of underlying assumptions provide the best forecast of whether the outcome will be successful or not. When it comes to forecasting the outcome of this deal, testing the validity of the Administration's underlying assumptions should be an essential starting point for any rational debate. If the assumptions are valid, it's probably a good deal; if invalid, it is probably a horrific deal. Assumption: Iran should be and will be a stabilizing regional power in the Middle East. Really? The day after Secretary of State John Kerry announced the deal in Vienna, President Obama said "this deal...makes our country and the world safer and more secure." Valid or invalid? Is there any evidence whatsoever of any Iranian trend toward moderation? Is there any indication of an Iranian decision to turn away from its terror network; to pull back from its support of Hezbollah; to end its efforts to consolidate the conquest of the non-Kurdish regions of Iraq; to back away from its propping up of the vicious Assad regime in Syria; or to stop its constant threats to annihilate Israel? Assumption: The deal with Iran lowers the risk of war in the Middle East. In opening remarks at his press conference on July 15th, President Obama unequivocally stated, "Without a deal we risk even more war in the Middle East." Valid or invalid? With Iran set to receive a $150 billion windfall, President Obama's national security adviser Susan Rice has expressed confidence that "for the most part," the money will be spent "on the Iranian people and their economy. Valid or invalid? Will not the Islamic Revolutionary Guard Corps, the Qods Force and its commander General Qassem Soleimani  who was removed from the U.S. list of sanctioned individuals under the Vienna deal  have an influential say in how the money is allocated? Is there not a near-certain likelihood that this agreement will lead to a significant expansion in the capabilities and military activities of the Iranian military, and increased support to terrorist organizations like Hezbollah and Hamas? To more violence, not less? Assumption: The only alternative to the Vienna deal is war. In other words, there is no chance for a better deal. Valid or invalid? Serious sanctions were imposed on Iran in November 2011.Two years later, Iran was six months away from a severe balance-of-payments crisis, the value of the Iranian Rial was collapsing, and Iran's inflation rate soared to 60 percent. Oil exports had been cut in half at a time when prices were in freefall and Iran was shut off from the world banking system. 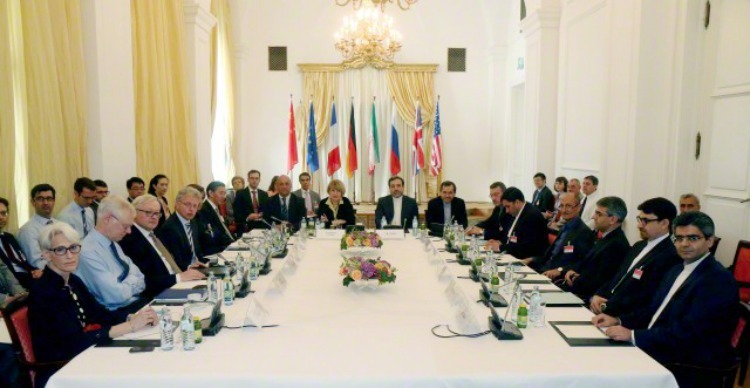 The Iranians badly needed sanctions relief.They came to the negotiating table. Yes, the United States has extraordinary leverage in the global economic system and used it well for two years with a clear and positive result. Then we gave it up. Make no mistake: we can turn up the sanctions regime once again, and make it even tougher. We can present China and our other trading partners with a choice  do business with Iran or with us. Tougher sanctions are a real option, which makes the talk of war needless, other than to underline the fact that "all options" really are on the table. Assumption: The inspection regime contained in the agreement will ensure effective and rapid detection of any cheating. Valid or invalid? We know Iran cheats. The International Atomic Energy Agency (IAEA) has reported that Iran cheated as far back as 2001 and as recently as June 2015. Therefore, the U.S. needs an airtight system of monitoring and verification. That's why U.S. negotiators sought "anywhere, anytime" unfettered access to Iran's nuclear facilities. In other words, clear transparency. That simply didn't happen. Instead, the deal calls for "managed" access, a process that gives Iran up to 24 days or more to hide any evidence of cheating. As Olli Heinonen, the former Deputy Director General for Safeguards at the IAEA explained, much of the equipment is easy to move, and if there is a dispute over cheating, "Iran will use that time to sanitize the place, make new floors, new tiles on the wall, paint the ceiling and take out the ventilation and all the equipment. Assumption: The penalty provisions will be of such immediate and severe magnitude to keep Iran from cheating. What are the consequences of any cheating? Only one  taking Iran to the UN Security Council for the imposition of "snap-back" sanctions. But there will be extreme reluctance to engage in such an action when the JCPOA explicitly declares that "Iran has stated that if sanctions are reinstated in whole or in part, Iran will treat that as grounds to cease performing its commitments under this JCPOA in whole or in part." In other words, punishing Iran for violating the deal permits the Iranian regime to kill the deal in response. Where is the logic in that? Building on a foundation of false assumptions in exchange for a lukewarm, non-verifiable, non-enforceable commitment from Iran, the West is giving Iran's mullahs $150 billion to do with as they wish, while allowing the entirety of their nuclear infra-structure to remain intact. This means permitting continued research on advanced centrifuges; lifting the bans on its weapons imports and ballistic missile programs; and giving a significant boost to the legitimacy of a regime with a truly despicable human rights record. Since the violent repression of mass democracy protests in 2009, the regime's active persecution of women, the LGBT community, religious minorities, and others has become more brutal than ever. This special briefing on Iran is being published to coincide with the ongoing debate in the United States Congress over whether to vote down the deal. The moral burden upon the shoulders of federal legislators is an enormous one, but the right decision  one that eschews considerations of partisanship or career prospects for the greater good of American and global security  is clear. Unless Congress acts, Iran is set, within 15 years if not sooner, to become a nuclear-armed power that dominates the Middle East, likely dragging American troops back into the region and setting off conditions that could precipitate the kind of horrendous war that President Obama says, with genuine sincerity, he wants to avoid. Karl Popper, "Conjectures and Refutations," (Routledge, Oxford,1963).